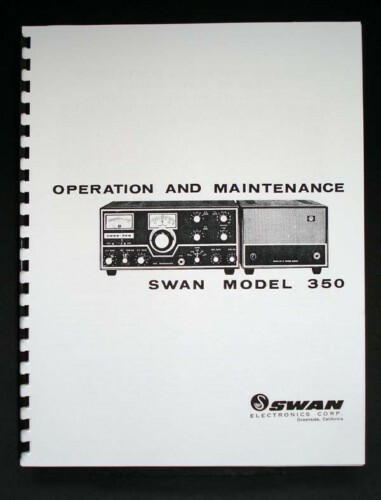 For sale is reprint of Swan model 350 transceiver manual. 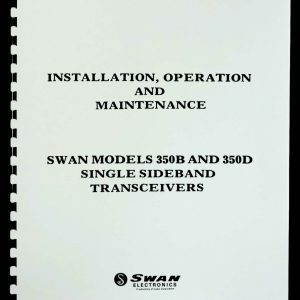 Manual is 18 pages long, includes 11×24 foldout of Circuit Diagram. Manual covers Installation, Operation, Theory, Alignment. 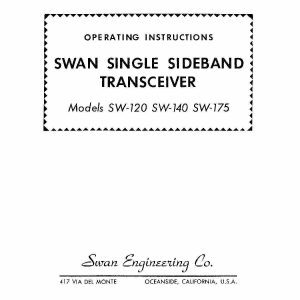 Troubleshooting section consists of Part list, Tube socket voltage table. 2 page diagram and part list for 412 Power Supply matching unit.